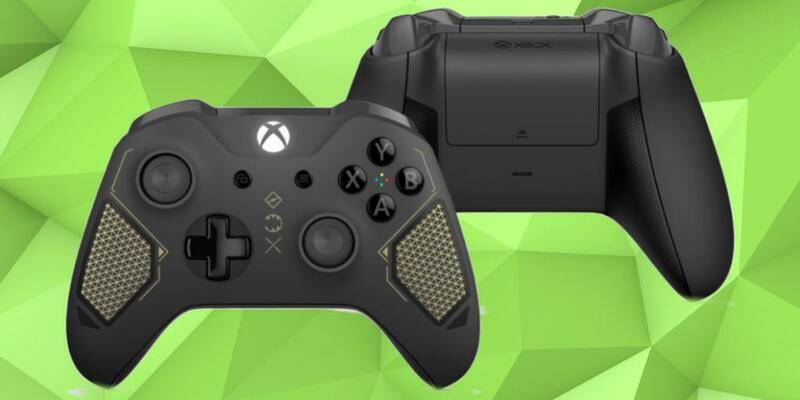 Microsoft Unveils Xbox One Tech Series Controller | Nerd Much? Microsoft has announced a brand new controller to kick off the Tech Series of Xbox Wireless Controllers. The company has named it the Recon Tech Special Edition and it will be coming to retailers April 25th for $69.99 USD. The design of the controller is purely ergonomic with a “textured diamond rubberized grip” on the back. The front gold accents and insignia are inspired by a military and almost steampunk style. The custom button-mapping via the Xbox Accessories App and upcoming Copilot features (available in the next Creators Update later this year) are also compatible with the Recon controller. If you don’t already know, the Copilot feature is yet another brilliant innovation from Microsoft that “allows any two Xbox Wireless Controllers act as if they were one.” It’s part of the company’s ongoing project to make gaming more accessible and I couldn’t applaud them more for it. As the announcement states, it’s perfect for introducing new players, playing with your kids, and those that might require “unique configurations to play.” All without any requirements from developers to change or add to their games, it’s already in the console’s system itself. What do you think of the Recon controller? Is it worth the money for the ergonomic design and wireless features? Let us know in the comments below!